Turunc Dalyan Tour is offering a uniqe day out by visitng famous sites like mud baths, turtle beach, king tombs at Dalyan. 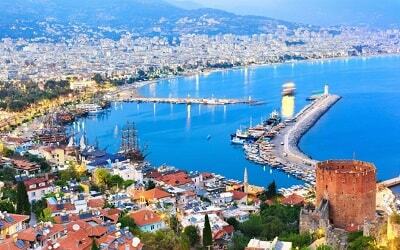 On this tour you will get a chance to feast your eyes on the golden sands of the famous Turtle Beach or the emerald fresh waters of the amazing iztuzu river. Look around carefully, for if you’re lucky enough, you might see the great Loggerhead Turtles swimming right by your side! 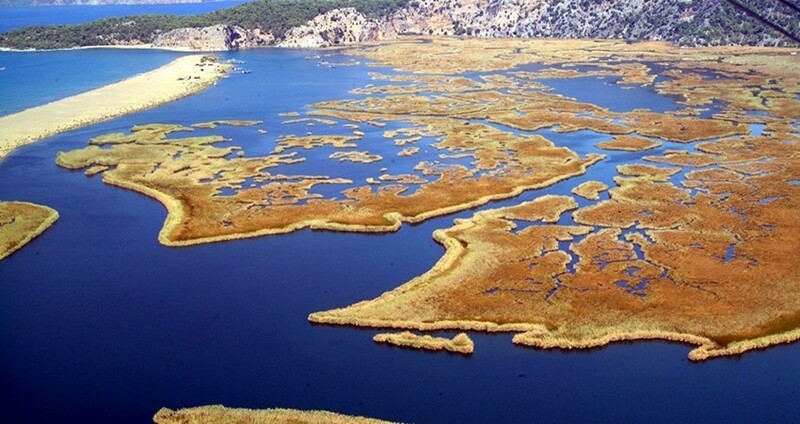 Turunc Dalyan Tour starts when one of our drivers picks you up from your hotel in Turunc at approximately 7.45 in the morning, and takes you for a comfy and snug drive to Marmaris Harbor. There you will board our lovely, spacious boat and than we can set sail into the sunrise. You will be amazed by having stunning view of Turtle Beach. Crystal clear water with beautiful sand is inviting you to jump into it. Turtle Beach is habitat for Caretta Caretta turtles and you have great chance to see these unique creatures. 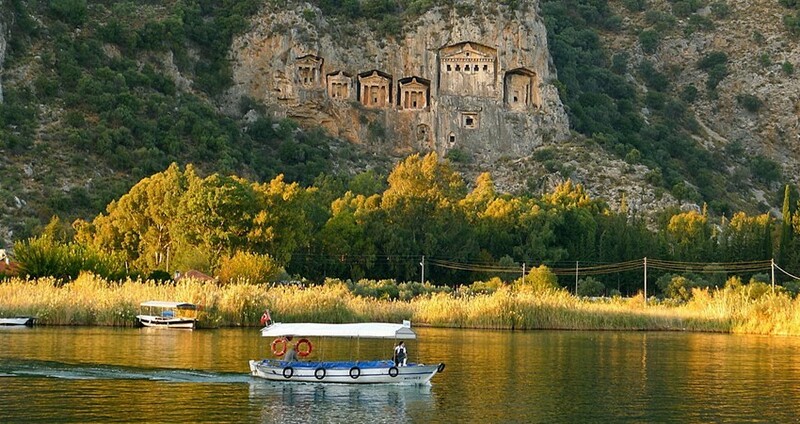 Afterwards, our smaller boats will take you to see the astonishing Lucian Temple Tombs of Kaunos. 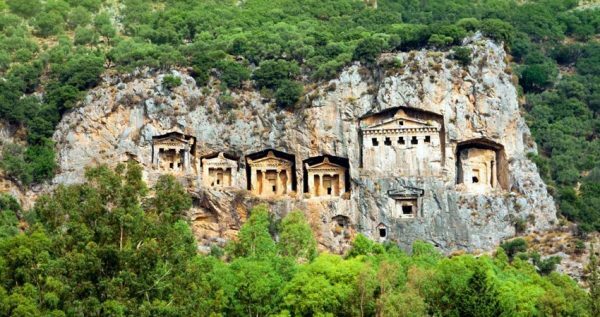 These rock-cut tombs are associated with some form of ancestor worship, and Lycans were famous for their high-quality stonemasonry, so this visit will be a treat for those history fans among you. Once this walk through past is over, you will get to indulge a pleasurable and fun mud bath in one of the thermal pools. These baths supposedly have a rejuvenating effect on the skin, so there is also some usefulness to them as well. 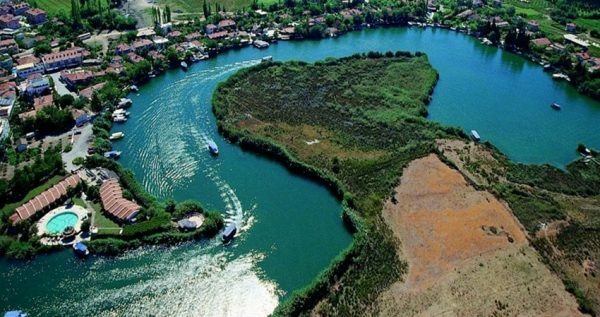 Turunc Dalyan Tour will give you some wonderful memories to last you a lifetime. Once you took a walk down the 7km long beach which divides two different floras and faunas of the Mediterranean and the Koycegiz Lake, you will have something valuable to tell your grandchildren about. Let your next vacation be the one to remember forever. 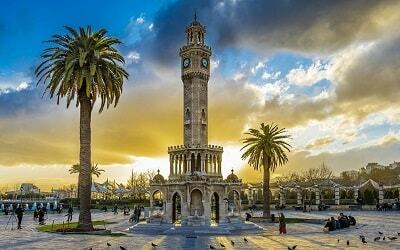 Travel with us, because we’ve opted to give you the best of what Turkey has to offer. 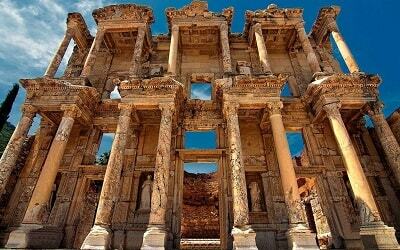 Once our lovely tour is over, our driver will take you to Marmaris bus station, where you can catch a dolmus back to Turunc. Don’t forget to bring your swimsuits, sun creams, towels, hats and cameras. 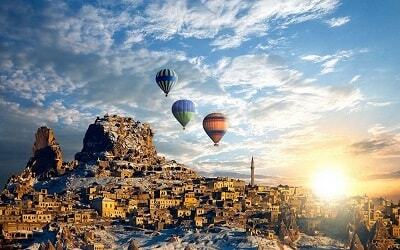 If you like natural sites to visit, Turunc Pamukkale Tour can be also interesting for you. 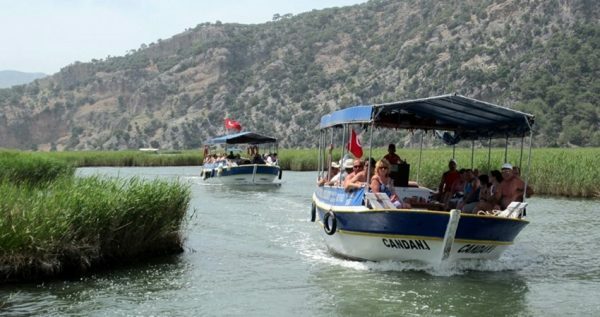 Turunc Dalyan Tour begins at 8.00 in the morning. 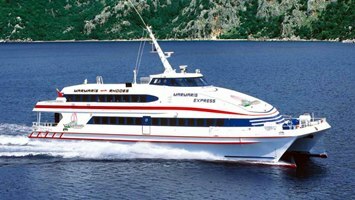 One of our drivers will pick you up in front of your hotel and take you to the harbor. Once we arrive to the harbor, you will board our gorgeous 3-storey high boat, equipped with showers, toilets, sunbeds, and two great and well stocked bars. Our lavish boat is designed to provide entertaining and peaceful cruises. Our first swim break will be at the serene and gorgeous Kizikum Bay, where we will enjoy 40 delightful minutes of swimming or snorkeling in the turquoise waters and frolicking in the sun on a golden beach. 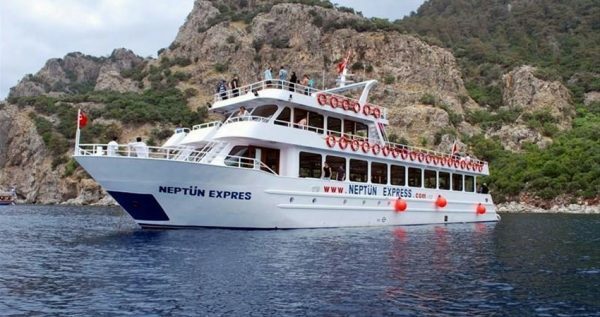 Once we come to Dalyan, we will have a tasty lunch on board, and then we will start our visit to this marvelous place. 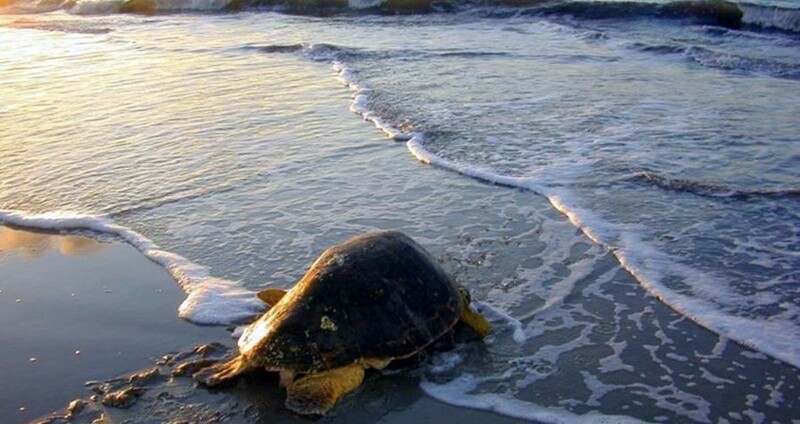 Our visit to Dalyan will begin with Turtle Beach, where you will be able to take a swim and enjoy the beauties of this wonderful beach for about 90 minutes. 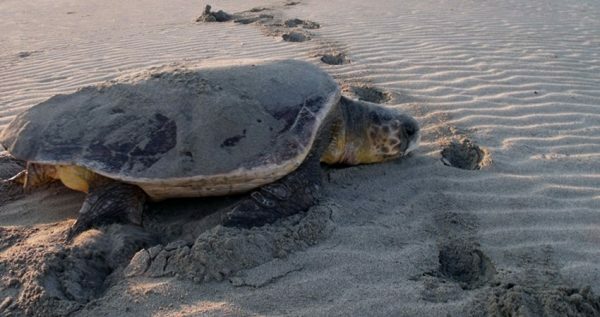 This lovely beach is protected because it is the breeding ground for the endangered species of Loggerhead Turtles. If you are lucky enough you could get to see them swimming near you. After our visit to the magnificent Turtle beach, we will board smaller canal boats, and we will sail through the maze of the canals. You will be able to have a drink on the boat, just keep in mind that the drinks are not included in the tour price. We will also get to see the ancient Lycian rock tombs dating back to 400 BC and take a picture-break here. You will be able to take some amazing camera-shots, as our English-speaking guides inform you about the history and the mythology surrounding the tombs. 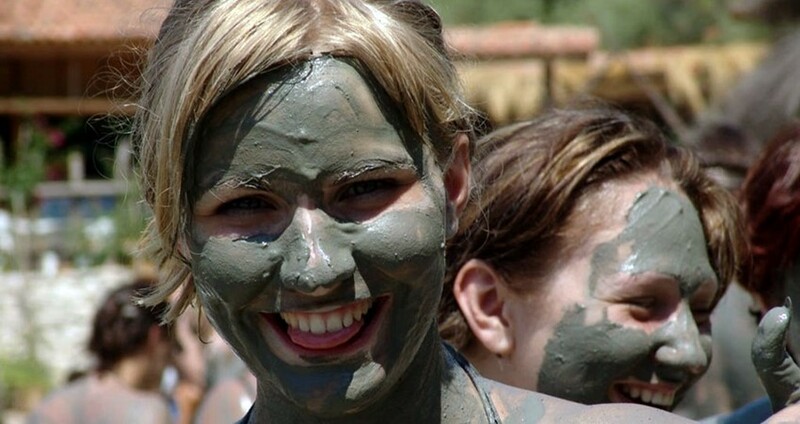 In the end, we will also visit the exquisite Dalyan mud baths, where you will get to soak and play in some rejuvenating mud! Mud in these pools is famous for its effects on the skin quality. After your bathing in the mud is over, you will get to take a shower and have a refreshing drink at the lovely cafeteria nearby. 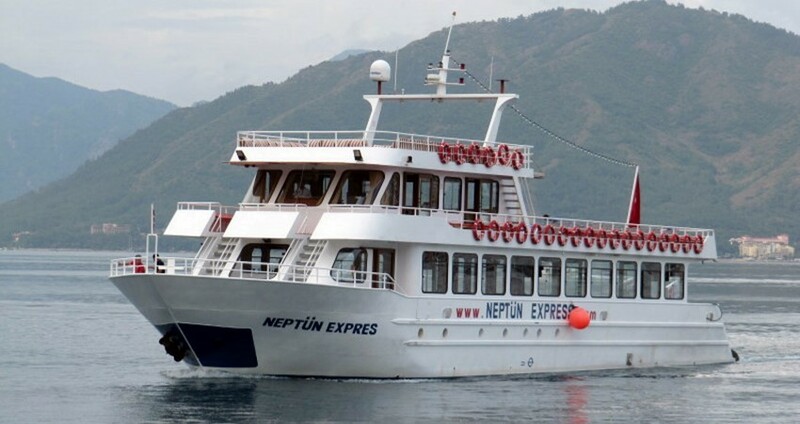 Once we sail back in the marina, our driver will take you to the bus station, where you can catch the next dolmus back to Turunc.